You've got questions, we've got answers! Don't see your question here? Email us! What should students do first if they are interested in study abroad? What are the three types of study abroad programs and why are they different? Where can students go? What can they study? For how long? Can any CofC student study abroad no matter their major, class standing, etc.? What are the eligibility requirements for study abroad? How do students apply for study abroad? What are the deadlines to apply? Can students use their financial aid for study abroad? How do students budget for study abroad? What is the Course Approval Form and how do students complete it? Exchange/affiliate programs: how do courses appear on the CofC transcript? What do students need to pay to CofC for each study abroad program type? Do students have to go through the CIE if they are planning on studying abroad? What are the steps students should follow after they attend an advising session? ﻿What should students do first if they are interested in study abroad? First, students should attend a group advising session. We have three different types of group advising sessions. Abroad 101 sessions are for students that are exploring or undecided about which program type suits them best. Affiliate and Exchange advising sessions are for students that know the type of program in which they would like to participate. Session attendance is mandatory prior to meeting with an advisor for Affiliate and Exchange programs. Sign up here! ﻿﻿﻿What are the three types of study abroad programs and why are they different? 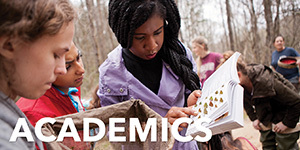 Faculty-led programs are spring-break, summer or semester programs led by a CofC faculty member. 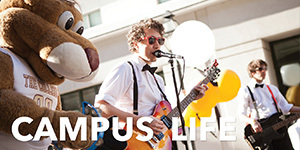 Students pay regular tuition plus a program fee and receive CofC credit. Grades are calculated in the student’s GPA. Exchange programs offer students the opportunity to pay their regular CofC tuition and study at one of CofC’s partner institutions abroad. 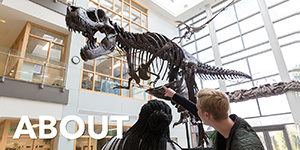 Students work with the Center for International Education prior to departure to determine course equivalencies and must earn a C or better to receive credit. Affiliate programs give students the opportunity to take courses not normally offered at CofC and study in locations not available through CofC faculty-led or exchange programs. Students can choose from a variety of affiliate program providers. 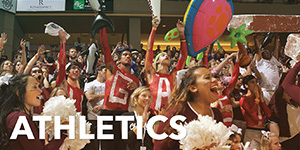 Students pay a program fee to the affiliate program instead of CofC tuition. Students work with the Center for International Education prior to departure to determine course equivalencies and must earn a C or better to receive credit. ﻿﻿﻿Where can students go? What can they study? For how long? The College of Charleston offers a variety of study abroad opportunities all over the world including various locations in Europe, Asia, South America, the Middle East, Africa and Australia through our different program types. Students are not limited by their major and can study an assortment of subjects. We work with students to select the most appropriate program for their academic, financial, and personal needs. Students can study abroad during spring-break or for a summer, semester, or academic year. ﻿﻿﻿Can any CofC student study abroad no matter their major, class standing, etc.? Students in any major may study abroad. Freshmen must complete one academic year prior to studying abroad. They may study abroad as early as the summer after their freshman year. Some freshmen choose to participate in a First Year Experience (FYE) course that allows them to spend time abroad during spring-break of their freshman year. Transfer students must complete one semester at CofC prior to studying abroad. ﻿﻿﻿What are the eligibility requirements for study abroad? 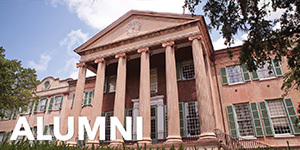 Freshmen must have been at the College of Charleston for at least one academic year. Transfer students must have been at the College of Charleston for at least one semester. The general minimum GPA requirement for participation in study abroad programs for CofC is 2.5; however, some programs and providers may require higher. ﻿﻿﻿How do students apply for study abroad? What are the deadlines to apply? All students, regardless of program type, must apply to the College of Charleston Center for International Education (CIE). Affiliate programs and exchange programs require an additional application to be filled out for the host program. The most up-to-date deadlines and program requirements can be found on individual program or Important Dates pages. ﻿﻿﻿Can students use their financial aid for study abroad? 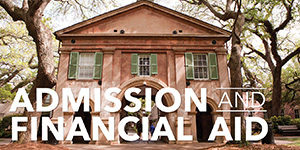 Students participating in College of Charleston and Exchange programs continue to pay tuition to CofC, therefore, all financial aid and scholarships apply as they would normally. Students may be asked to document all of their expenses while abroad. Students participating in an Affiliate program are able to use any portable financial aid in their package. Certain scholarships and non-portable aid may be available, but students must work with the CIE and the Financial Aid Office on-campus to determine this. ﻿﻿﻿How do students budget for study abroad? CIE encourages students to apply for scholarships to study abroad. These scholarships can be found through our scholarship page as well as consulting with the student’s major and minor departments. CIE also encourages students to estimate the costs of their study program and plan ahead by downloading the Study Abroad Cost Worksheet to help organize a budget. ﻿﻿﻿What is the Course Approval Form and how do students complete it? The Course Approval Form must be filled out by all students studying abroad through Exchange and Affiliate programs. The courses students take abroad must be approved, using this form, in order to receive transfer credit at the College of Charleston. First, check if any of the courses are pre-approved by emailing your CIE advisor. For courses not listed in the inventory, you must provide a description or syllabus of the course to the appointed faculty member for evaluation (see Course Approval Directory). Once the Course Approval Form has been completed, it should be returned to the Center for International Education. ﻿﻿﻿﻿Exchange/affiliate programs: how do courses appear on the CofC transcript? Courses that were passed with a letter grade of C or higher will appear on the CofC transcript as transfer credits but will not include the grade. Grades will appear as TR and will not be calculated into the student’s cumulative GPA. ﻿﻿How much does it cost to study abroad? Just as programs vary in coursework, duration, and location, costs range across the board. The CIE works with students individually to find the best program for their academic, financial, and personal needs. And while we're often asked to quote an average cost, we just aren't able to provide one. We offer so many programs that this figure is difficult to calculate and does not take into consideration what a student receives in support services, academics, and experience. ﻿﻿﻿What do students need to pay to CofC for each study abroad program type? Faculty-led programs require students to pay regular CofC tuition and a program fee, which includes the $50 application fee. Exchange programs require students to pay regular CofC tuition and a $50 study abroad fee to CofC. Student are also responsible for housing, airfare, meals, and any other expenses incurred abroad. Affiliate programs require students to pay a $50 study abroad fee for a semester program or a $150 study abroad fee for a summer program. All other expenses are paid directly to the affiliate provider. ﻿﻿﻿﻿Do students have to go through the CIE if they are planning on studying abroad? ﻿﻿Do I have to know a language to study abroad? No! Many students study abroad without knowledge of the native language because we offer programs where courses are taught in English. However, if you're looking to learn a new language or brush up on your already acquired skills, we have programs for that, too! ﻿What are the steps students should follow after they attend an advising session? Research options that will suit their study abroad goals using the CIE website and information from the advising session. Make an academic and financial plan: look into which courses are available through the study abroad program and meet with academic advisors to insure their study abroad experience will be academically beneficial. Look into financial aid and scholarships for specific programs. Create an account on AbroadOffice. Review the Program Selection and Application Process and Accepted Students pages on our website for next step.